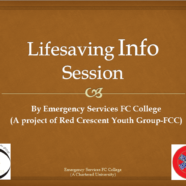 On 21 October 2013 Emergency Services arranged its first lifesaving information session which enabled the participants to respond to save their lives in case of emergencies. The session was arranged in Urdu with open sessions for Intermediate and Baccalaureate students as well as faculty and staff. Those who had joined had found it an informative session. 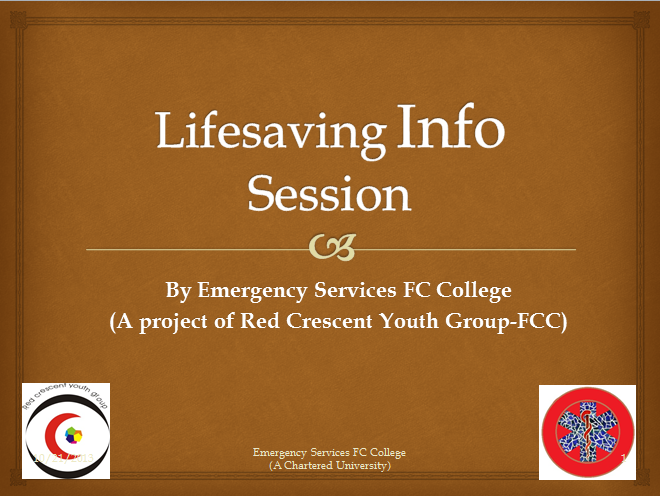 The next session will be on 18 November 2013 at 1:00 pm in S-009.